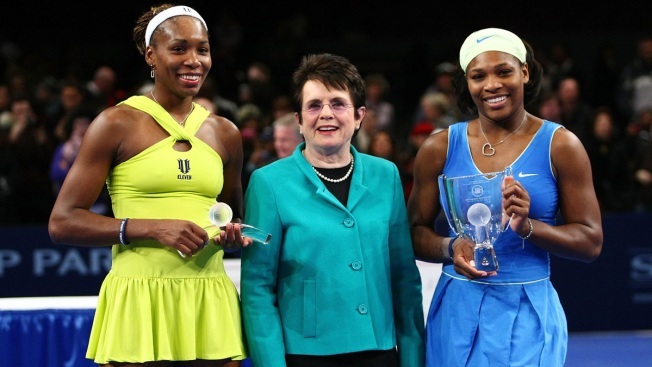 This March 2, 2009, file photo, shows Venus Williams, Billie Jean King and Serena Williams pose for photographs after the Final during the BNP Paribas Showdown for the Billie Jean Cup at Madison Square Garden in New York City. "I said: 'All of our hearts beat the same. When your eyes are closed, you really can't tell, next to you, who's a man and who's a woman.' And (I asked them) to think about their daughters and their wives and sisters. How would they like them to be treated?" Williams recalled. "Sometimes, we lose track of, and don't even realize, our own bias and our own prejudice. And we have to confront ourselves." The following afternoon, she won one of her seven major singles championships. About 1½ years later, Wimbledon announced it would, indeed, offer the same prize money to men and women in all rounds of the tournament, and the French Open soon followed suit, eliminating the pay gap at the four majors. 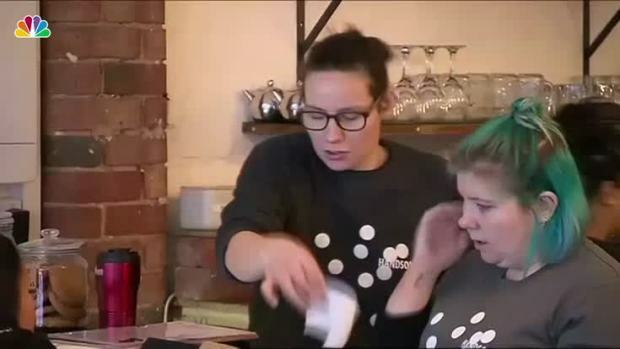 A cafe in Melbourne, Australia, charges its male customers an 18 percent surcharge one week a month to highlight the gender pay gap. The two current tennis stars are joining the advisory board of the group founded by the former player, and Tuesday's announcement was timed to coincide with Equal Pay Day, which approximates how far into a new year a woman must work to earn what a man made by the previous Dec. 31. "Venus, in particular, helped us get equal prize money in the majors. She was amazing. She really got Wimbledon to make the big step," King said in a telephone interview. "Venus has always had the courage to step up. And Serena's the same way. They step up. I mean, Serena is not afraid to say whatever is on her mind." Added King: "They've been through a lot themselves, so they totally understand what's going on. The two of them have transcended sports. The BJKLI is not about sports. It's about every industry. To try to get equal pay for equal work, and that means across the board, from CEOs down to entry level." Her group was formed in 2014, and other advisory board members include 2003 U.S. Open champion Andy Roddick, former NBA player Jason Collins, singer Elton John and CNN's Christiane Amanpour. 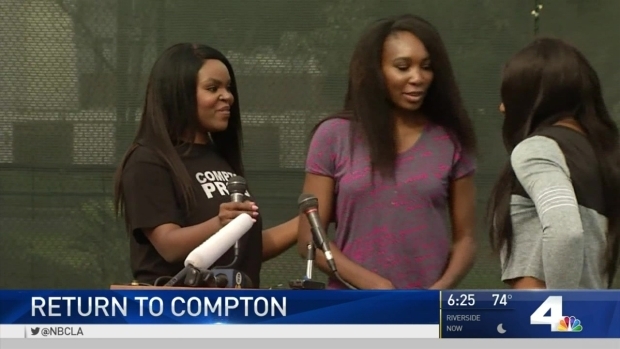 It was a pretty easy sell for King to add the Williams siblings, owners of a combined 30 Grand Slam singles titles, along with another 14 they've won together in doubles. "We always put our hands up for Billie. We love her. She has a tremendous history, not just in women's tennis, but in leading rights for people, in general, no matter who they were," Venus Williams said. "Billie could be at the point in her life now where she could say, 'Hey, I'm going to sit back and enjoy my life.' But she's still working hard for others. And that's a prime example for every single person. Your work on this earth never ends, as long as there is inequality." King, for her part, looks at the Williams sisters as among those who can carry on the work she started decades ago. "I am in my 70s, so I am looking to younger people to take up the mill as I phase out over time," King said. "I've got energy right now, so we're teeing everything up so we're in great shape for the legacy of the BJKLI, because I want it to have a life after I'm out of here."